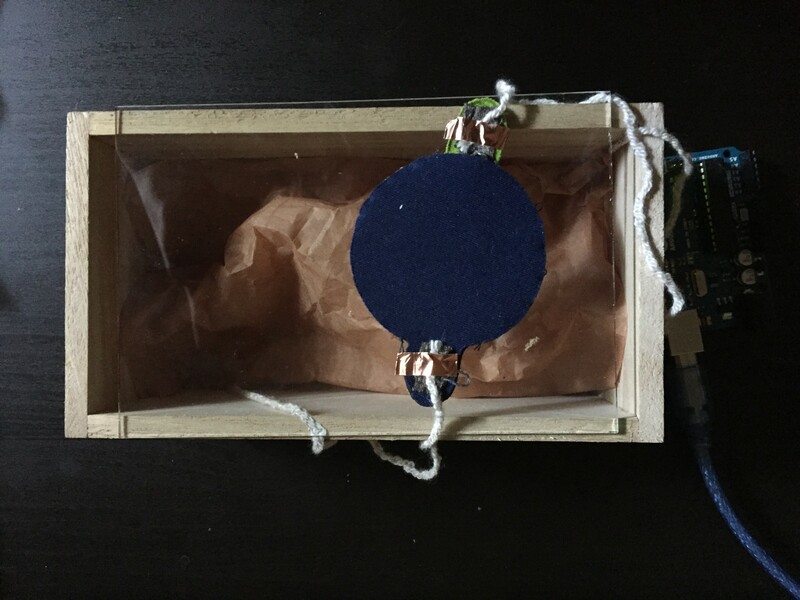 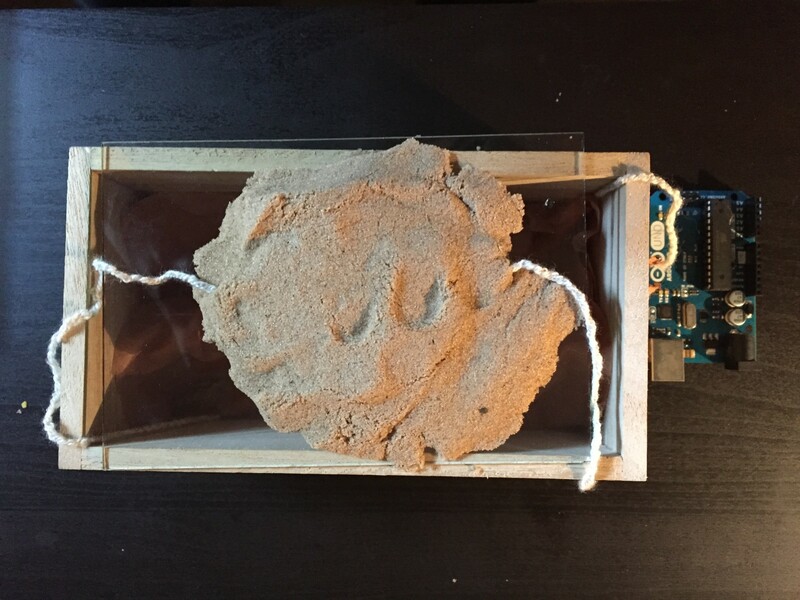 I did a rough prototype of an experience to encourage the user to dig/look and discover what there is underneath the sand. 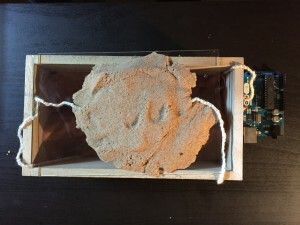 The combination of touching the sand while also getting light feedback might encourage the use to keep on doing it while maybe relaxing them. 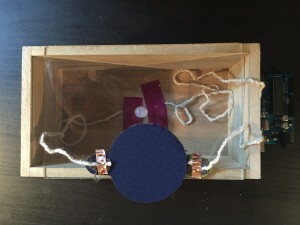 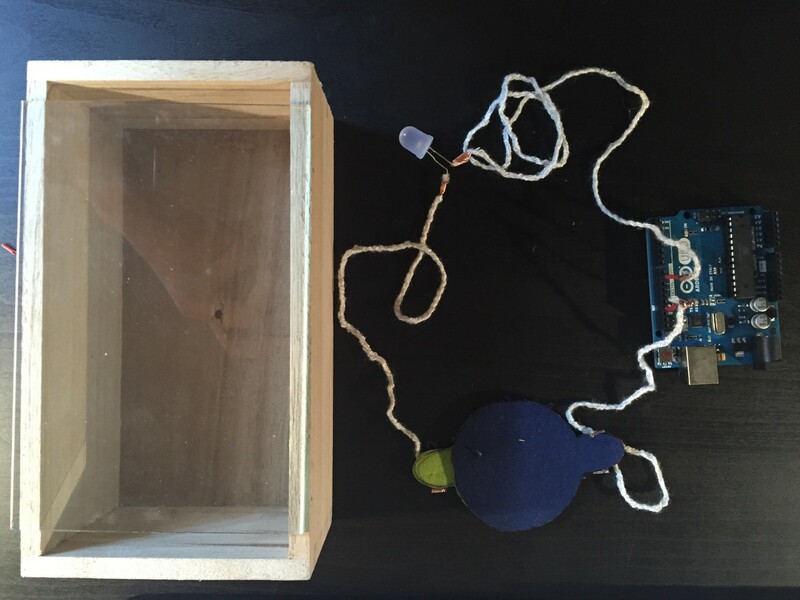 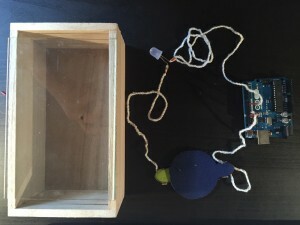 This entry was posted in Week 6: Microcontroller Workshop Part 1, Workshops on October 13, 2015 by Isabella_Cruz-Chong.